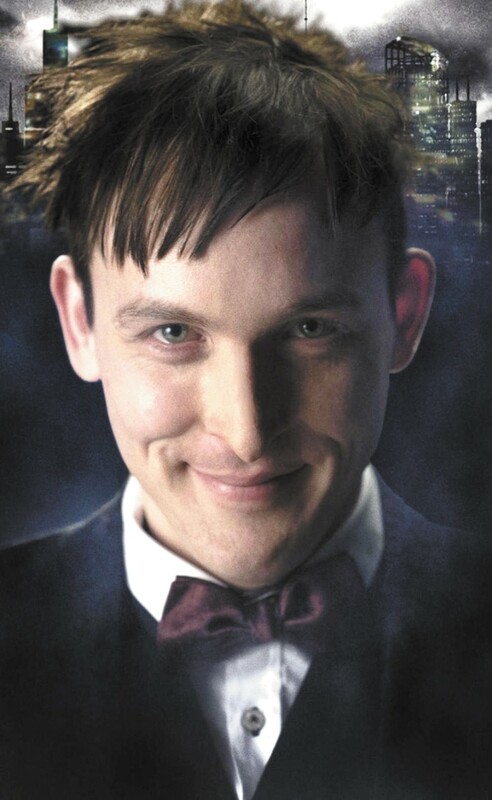 Oswald Cobblepot, the man who will become The Penguin. The soul of Gotham (Fox, Mondays at 8 pm) the TV show, like the soul of Gotham the city, stands at a precipice. It could soar or it could fall. Batman is like that. Through his long history, the character has run the gamut in tone and quality, from the grim and gritty (The Dark Knight) to the dopey and silly (Adam West, Batman and Robin). Gotham strikes an agreeable Burtonesque balance, taking itself seriously but refusing to fall prey to self-seriousness. Gotham follows police detective Jim Gordon (Ben McKenzie, The OC) and greasy, sleazy detective Harvey Bullock (Donal Logue, Terriers) long before Batman takes up the cowl. As with all prequels, it's limited by built-in-handcuffs and predestined arcs: The writers can't, say, kill little Bruce Wayne, even if that would be the best direction the show could go in. Unfortunately, by murdering the Waynes' parents immediately (Don't walk down a street named "Crime Alley" at night, kids) Gotham loses what could have been an interesting arc for an entire season: A rich couple tries to save Gotham through clinics and charities rather than body blows and Batarangs, only to get shot, leaving the city with a power vacuum, filled by rogues.